Ever since Doctor Who returned to screens in 2005, the storylines have very much focused on the companions as much as the Doctor, not only as they become more assertive in the face of evil but also regarding how said evil affects their lives. Although families have very much stayed in the background recently, there’s no denying that Amy and Rory’s episodes together have delved incredibly deeply into their psyches to fascinating affect, exploring their relationship with each other as well as with the Doctor, and ‘The God Complex’ continues that theme with another very strong offering. As the TARDIS lands in a rather ostentatious 1980s hotel, the Doctor and companions soon learn that each person in the hotel has a room that houses his or her greatest fear. The incredible camerawork and the presence of CCTV cameras creates a very eerie and disturbing experience, and the anticipation and fear of each character finding that one room keeps the concept inherently interesting. And while the brief appearances of the Weeping Angels, ventriloquist dummies, a clown, and even trendy girls (for the stereotypical shy nerd in the bunch) all tap into a wide variety of fears, it really is the characters themselves- even as more and more continue to succumb to fear- that elevate the story to something special, Amara Karan’s Rita the particular standout and practically begging to come back as a companion through her engaging performance. The title of the episode clearly suggests that there is an aspect of religious undertones to events, and while that is certainly true, writer Toby Whithouse is clever enough to keep the focus within the confines of Doctor Who, offering a clever insight into the Doctor and his effect on those around him as well. Just as devotion to one’s religion has the ability to provide comfort and assuage fears, faith in the Doctor can do the same. Yet the parallels between this episode’s minotaur-like monster- who demands faith only to leave those devoted to it in a very much worse state- and the Doctor are abundantly clear as well. The Doctor’s loneliness and the sometimes detrimental affect he can have on people are by no means new themes, but the building stress from events of this episode as well as his impending death lead to his heartbreaking decision to leave Amy and Rory behind. The scene in which the Doctor has to break Amy’s faith in him in order to save her is particularly difficult to watch and just further illustrates what a force he can be. And while it’s unlikely that this is the last of Amy and Rory, the departure is a very effective character moment for everyone involved. Matt Smith, in particular, delivers a powerhouse performance and his speech where he declares himself not a hero is absolutely superb, setting the stage for the return of a very lonely and jaded Doctor going forward. It’s likely that this is going to be another episode that some love and some hate given its focus on the companions and its insight given into the Doctor. While this is another standalone tale, it certainly accomplishes its task wonderfully and puts the main trio in a new position going forward. 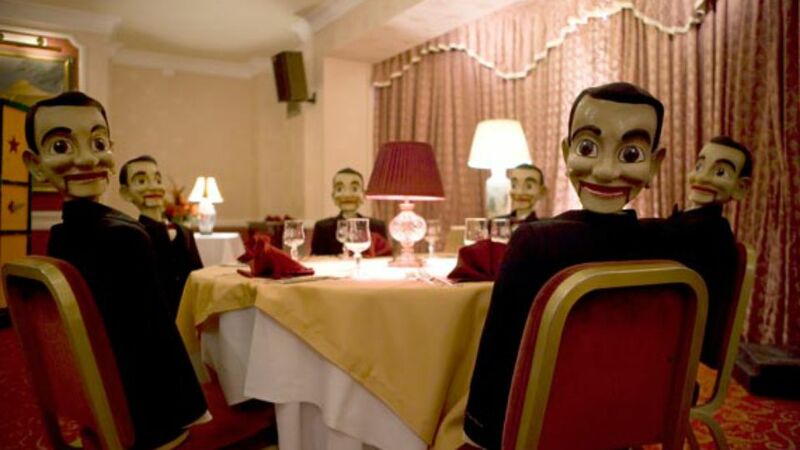 The tale itself is also greatly constructed and keeps the tension high due to the presence of so many common fears and very clever editing and camerawork, and although the Doctor’s fear within his room is not overtly seen, it surely will come back to haunt him in coming episodes even as he tries to distance himself from those he cares about as his end nears.